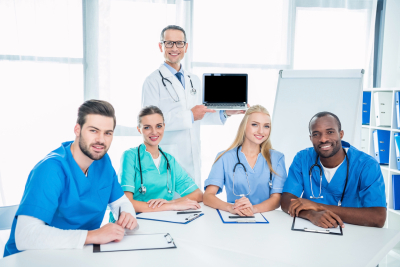 Our training courses are designed to better prepare you for your future career in health care. Barnabas Health Care School of Professional Studies believes that our students can ultimately have the capabilities to achieve success in their chosen professions. We provide you with adequate training so you can be fully equipped with the knowledge, skills, and expertise necessary to achieve your career goals. If you wish to talk to our guidance counselor about which course you should be signing up for, kindly call 331-550-3615 or 313-952-2699. You are also welcome to visit our campus.